If you’re in the market for a dependable SUV to get you around town, you should choose something that has great features but won’t break the bank. Shoppers in Laplace, LA, love what they see in INFINITI QX30 AWD pricing. You need to check it out as well and test-drive one of these beautiful SUVs today. If you’ve got your eye on an SUV and INFINITI QX30 AWD pricing, the chances are good that you’ll usually have some passengers with you. You drive safely, but this alone won’t guarantee your safety. It’s also vital that your vehicle has the top safety elements and protection available. The QX30 has four-wheel antilock brakes and front and rear head air bags. There are also dual front side-mounted air bags, which will deploy when you need them most. Other great safety features include emergency braking assist, tire pressure monitoring, and dusk-sensing headlamps. One of the advantages of buying a new vehicle is that you’ll have access to awesome entertainment packages and elements. As you drive in and around Laplace, LA, you can enjoy 48 months of satellite radio for free. You can hear your favorite music on 10 Bose premium speakers and a subwoofer. There’s also a USB connection and speed sensitive volume control. Don’t forget about the auxiliary audio input. High performance is a must, but you also need to feel comfortable as you ride. With INFINITI QX30 AWD pricing, you can sit at the wheel in bucket seats with leather covering. You’ll have multi-level heating and eight-way power adjustments, not to mention 41.3 inches of legroom, 54.8 inches of shoulder room, and 52.1 inches of hip room. In the back, you’ll find a split-folding rear seatback. Passengers can easily spread out, thanks to the 37.5 inches of headroom, 49 inches of hip room, 33.5 inches of legroom, and 53.1 inches of shoulder room. Your QX30 will stand out as you drive on the streets of Laplace, LA. It has a gorgeous design and look, including premium paint. You’ll also have the benefit of splash guards and a rear bumper protector. You can also upgrade to a moon roof package. 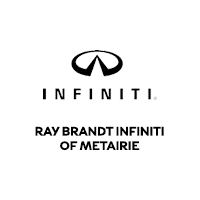 You could shop at many places in and around Laplace, LA, for INFINITI QX30 AWD pricing. However, your best choice is to stop by Ray Brandt INFINITI to check out our selection. A knowledgeable sales associate will help you find the right option.